Doyle McCormack is the president of the Oregon Rail Heritage Foundation and oversees the maintenance and operation of the Southern Pacific 4449. He has almost half a century of involvement with this particular locomotive and its excursions. Since the 4449 is currently in the middle of a 1472 inspection, this interview will focus on putting a human face on what is for many people a very mysterious process. First, give us a brief biography of yourself. I inherited the disease of railroading. My dad worked for the railroads before me, and my grandfather before him. I started out at the age of 22 after serving in the Navy. I hired on at the Nickel Plate Road in Ohio--actually, it was the Norfolk Western by then. I started in1965, and the merger had happened only 10 months earlier. I began as a fireman. The railroads still had to have them back then, it was the law until about 1972. We joked that the fireman’s job was to sit on one side of engine and together,with the brakeman, balance the engineer’s side. What we actually did was a lot of engine upkeep, making sure the water and fuel levels in the locomotive were good, and we were an extra pair of eyes for the engineer. He would get used to you being there after a few months and say, “Hey, have you ever run an engine before kid?" After a few years of experience, and when seniority allowed, there was a natural progression to engineer. A/N: I am attending the Association of Tourist Railroads and Museums conference. I will not be as quick to respond to comments and moderate. Be nice to each other! Let’s start this article with some context about what the ‘big’ in the name Big Boy means. The drive wheels in this locomotive class are 68“ tall--exactly the same height as I am if I stand up straight--and the bolts that hold the running gear together are larger than my hands.If a Big Boy was stood upright, it would be approximately as tall as a thirteen story building. The tubes, flues, and firebox provided 5,735 square feet of heating surface. If they were stretched out and flattened, they would take up about the same amount of space as the wing area on a Boeing 747*. When a locomotive can boast statistics like these, it’s no surprise that most news articles and television spots focus on its size. 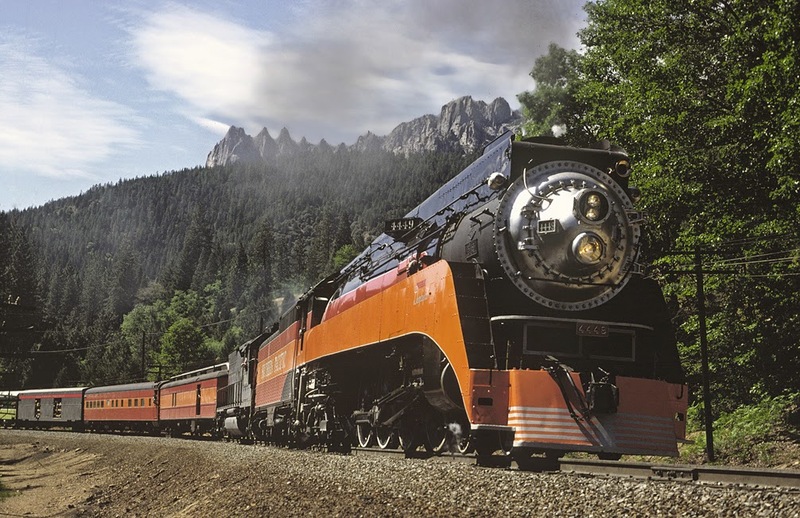 Often, they describe the Big Boys as the largest and strongest steam locomotives ever built. Few of them, though, specify whether they are judging ‘largest’ by length, empty weight, weight when filled with fuel and water, and whether the measure of ‘strength’ is tractive effort, drawbar power, or simple horsepower. In this article, we’ll examine what these terms mean when they are applied to steam locomotives, and profile some of the other locomotive classes that were close contenders for largest size and greatest strength.